Wonderful colours! Very nice panting, Jana! Jana, I think sometimes it is just the best – to re-start again. It has happenend to me (although very rarely because I hate to waste material) that I started again on the same subject 3 times when the idea just did not leave me. The painting with the 2 ladies on the farmer’s market started wonderfully – very lively – I would not abandon the idea but maybe try a different colour composition. I think to let it sit for a while would give you the right vibes for a new try. Btw – the last few days I was in my hometown. The weather was absolutely awful but I needed the time to get some fresh air into my head and you know all your wonderful sketches inspired me to go back and start a bit sketching again – haven’t done that for many years. Yesterday was a warm and lovely day and so I sat in the garden of my Mom, took out my little sketchbook and a pen and actually started a few sketches, added some watercolour washes – everything quite clumsy still but a beginning. 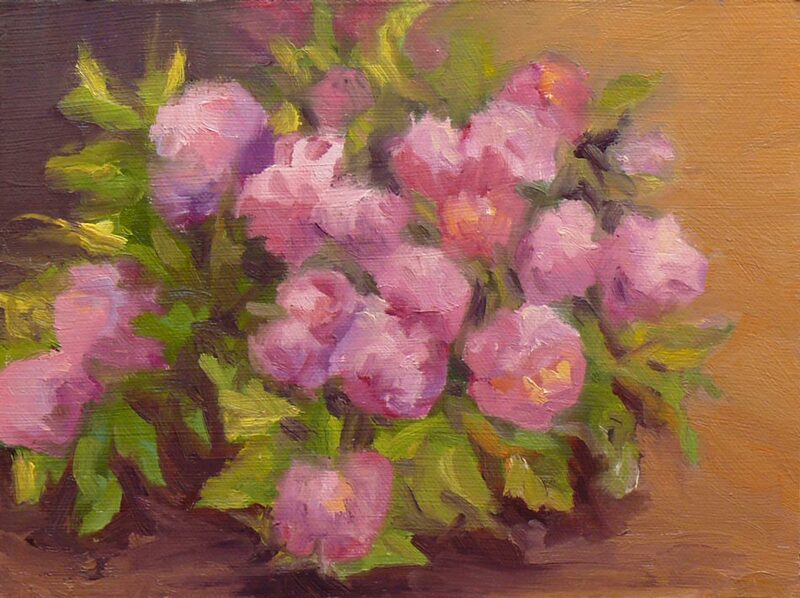 The Hydrangea painting is lovely, but are you sure the plant isn’t a peony? Maybe it doesn’t matter – I viscerally connected with the Farmers Market study . . .